Nothing says fall like hot-pressed apple cider. 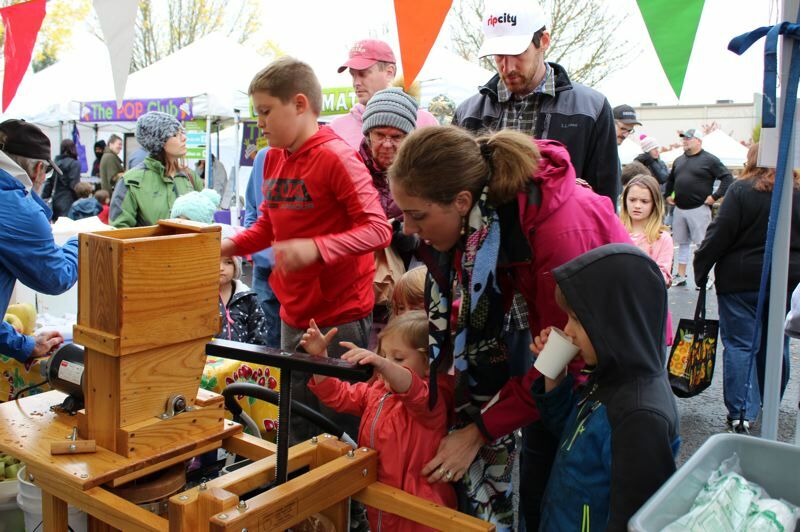 Families enjoyed tasting the seasonal bounty of apples Oct. 6 during the eighth-annual Apple Pressing event at the Oregon City Farmers Market. Kids lined up to drop freshly sliced apples into the shaft, crank the handle, and watch the juice cascade out of the old-fashioned apple press. 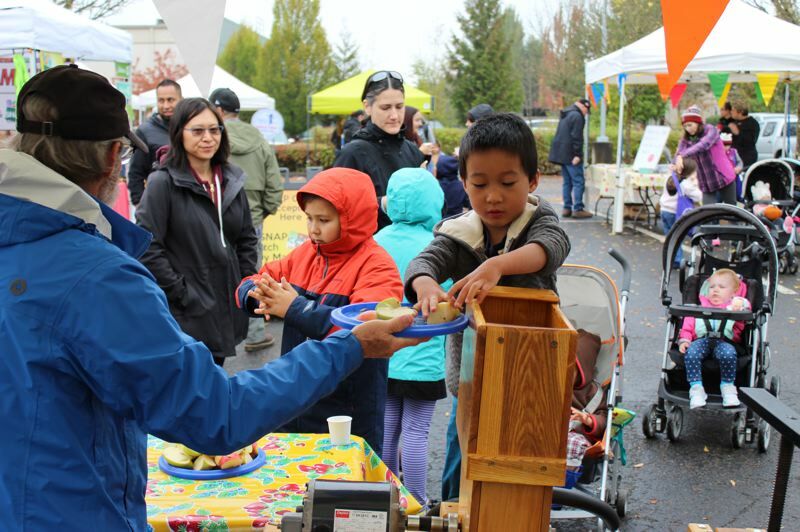 A variety of apples donated by market vendors were prepped for pressing by Oregon State University Extension Service Master Food Preserver volunteers — then heated for tasting to the delight of the children who helped make the cider. 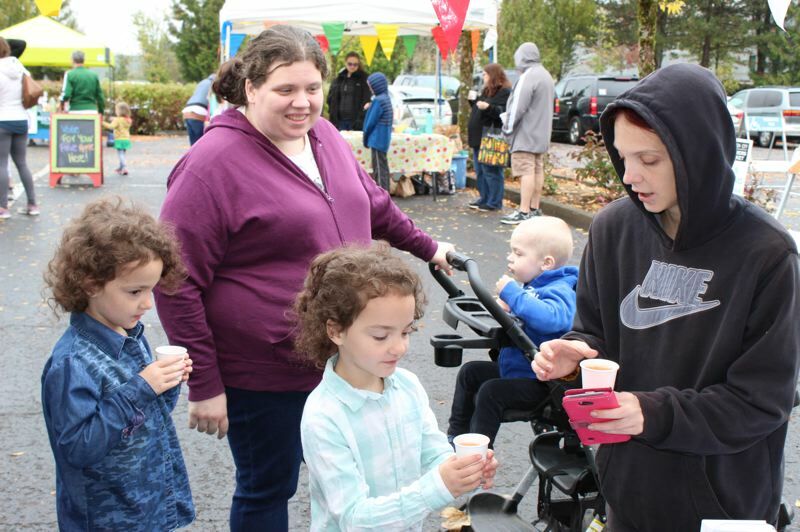 "It always amazes me how many people comment on the difference in taste between fresh-pressed apple juice and the juice that they buy at the grocery store," said Kelly Streit, event organizer and instructor with the OSU Extension Service's Family and Community Health (FCH) program in Clackamas County. FCH organizes the free event annually as a way of bringing families together for fun activities around healthy food. Several hundred market-goers also had an opportunity to taste 20 different apple varieties from four area farms and vote on their favorite. The winner was Mountain Rose, an heirloom red-fleshed apple from Kiyokawa Orchards in Hood River.